Media requests for information, interviews, photography, and videotaping must be scheduled in advance through the Marketing and Communications Department. Members of the media may complete this form to request information about The Ringling, its Exhibitions and upcoming events. 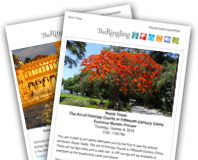 You may view all current and past press releases from The Ringling.